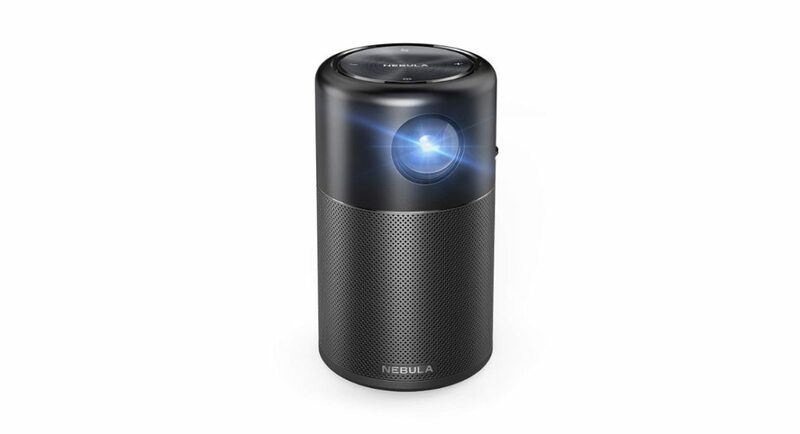 Chinese consumer electronics maker Anker has launched its Nebula Capsule portable projector in India. Anker Nebula Capsule comes with 360-degree surround sound and has 5W speakers that are said to produce an immersive audio experience. The mini portable projector comes with AirPlay and Miracast that enable screen mirroring on it. The Anker Nebula Capsule runs on Android 7.1 Nougat, so you can stream videos on the device from any app that is compatible with it. Th DLP Technology delivers 100 ANSI lumens of picture quality with the help of IntelliBright algorithms. Since Anker Nebula Capsule is powered by Android 7.1 Nougat, it can run a large number of apps including some popular ones like Netflix and YouTube. Speaking of the DLP Technology, it is expected to let the device project images or videos on any kind of surface. There is also a wireless casting support that allows the projector to mirror the content just the way it is saved in your phone. As we mentioned earlier, this can be rendered successfully with the help of AirPlay and Miracast. The projector sports a 0.2-inch FWVGA 854×480 pixels DLP display technology and provides a lamp life of 30,000 hours. The Anker Nebula Capsule is powered by a 5,200mAh battery. This battery enables the device to offer four hours of non-stop video playback. There is a dedicated Nebula Connect app available on the App Store and Google Play Store which means that you can operate the device directly from your smartphones. Connectivity options include on Anker Nebula Capsule include Wi-Fi, Bluetooth 4.0, HDMI 1.4, and microUSB port with USB OTG support. In terms of measurement, the Anker Nebula Capsule’s height is 4.72-inches and the diameter is 2.67-inches. The price of the Anker Nebula Capsule is Rs 31,999 and you can buy it from any retail stores across the country. To recall, Anker recently launched an alarm clock that is called the Soundcore Wakey. This is a rather unusual gadget as it not just wakes you up on time, but also charges your smartphone. It has two five-watt speakers, 10 preset alarms and an FM Radio. It competes with the famous Amazon Echo Spot speaker.